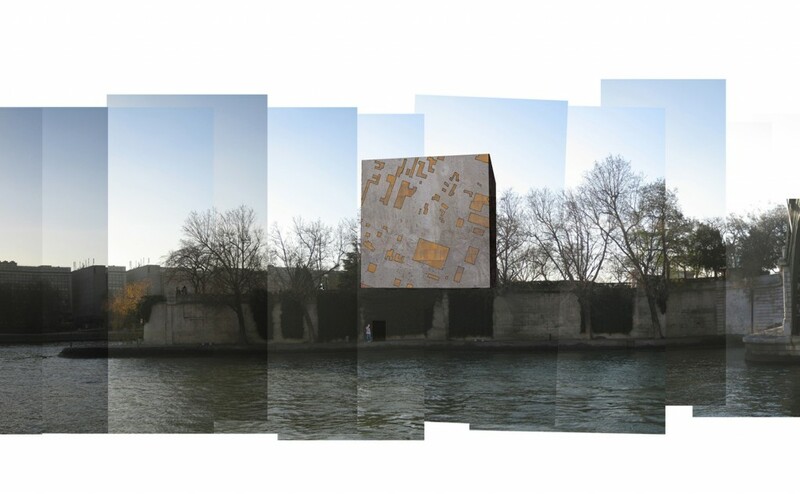 Archive building for Walter Benjamin on Square Barye, Isle St Louis, Paris. 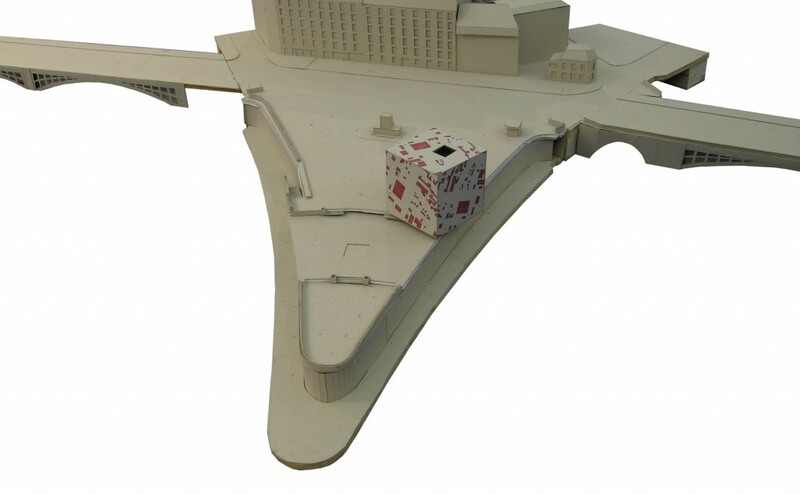 A foreign object placed on the edge of the site, maximising tension between site and object and drawing on surrealist inspiration from Kafka and Cocteau. 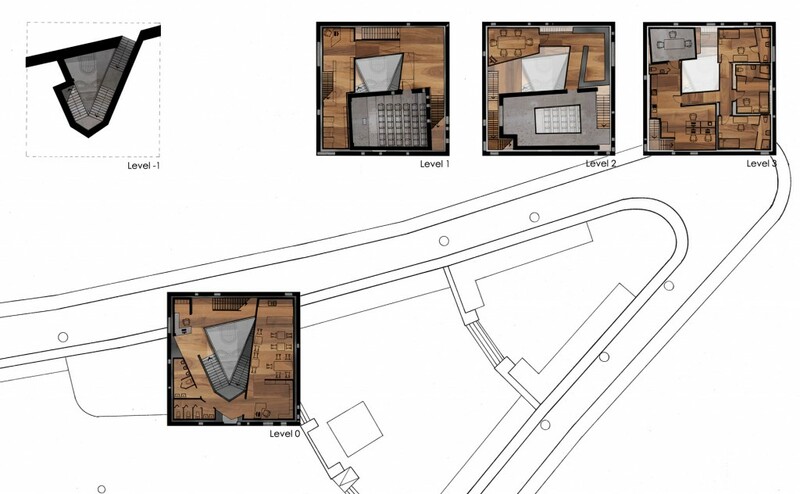 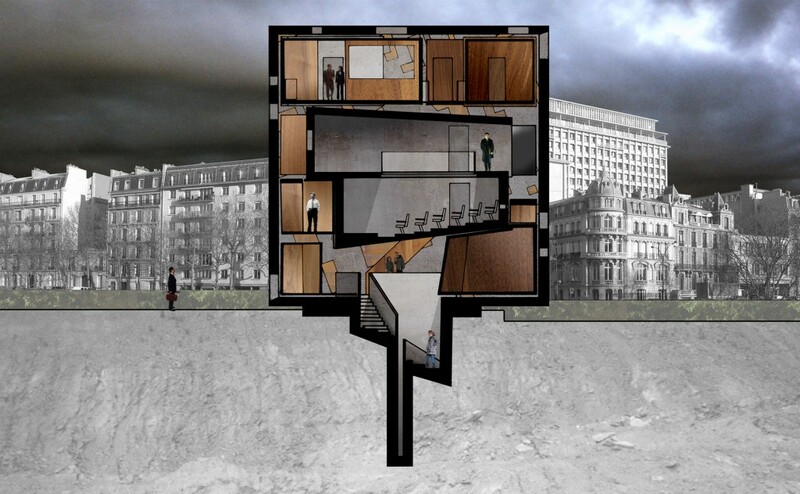 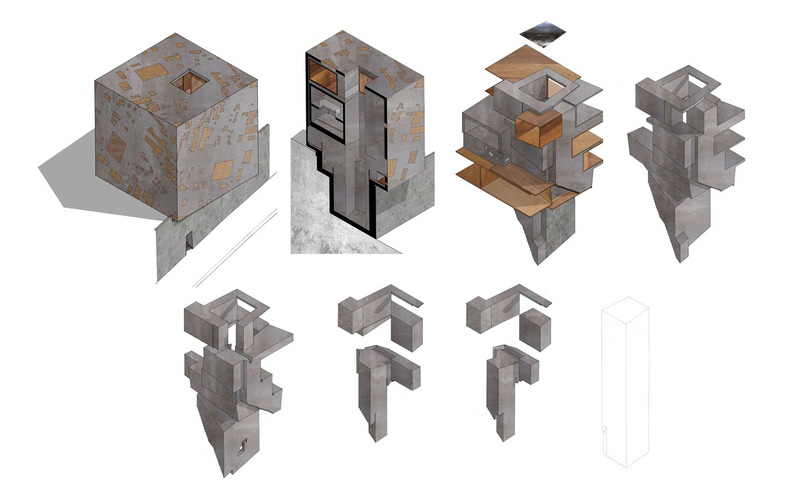 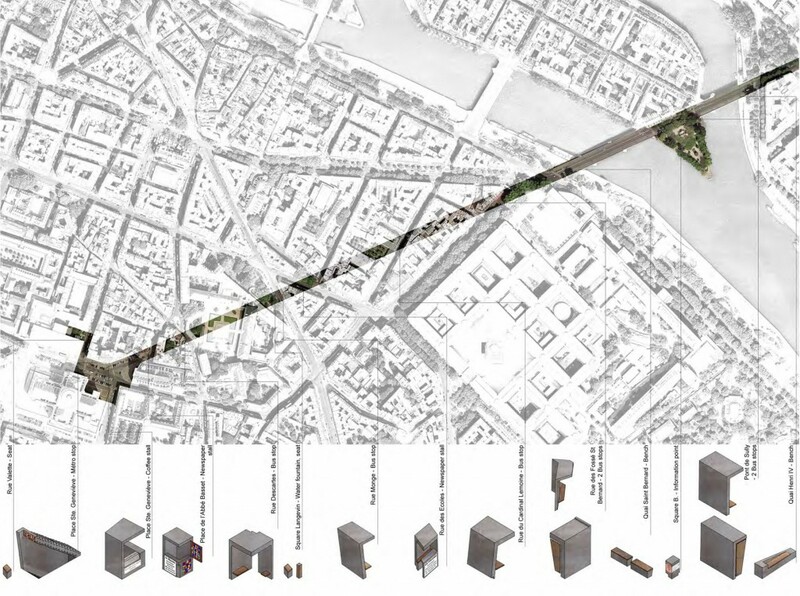 A new ‘irrational embellishment’ of Paris is proposed where fragments from the main archive building are displaced along an unrealised Haussmann Boulevard to fulfill functions such as shelter, water, or seating.